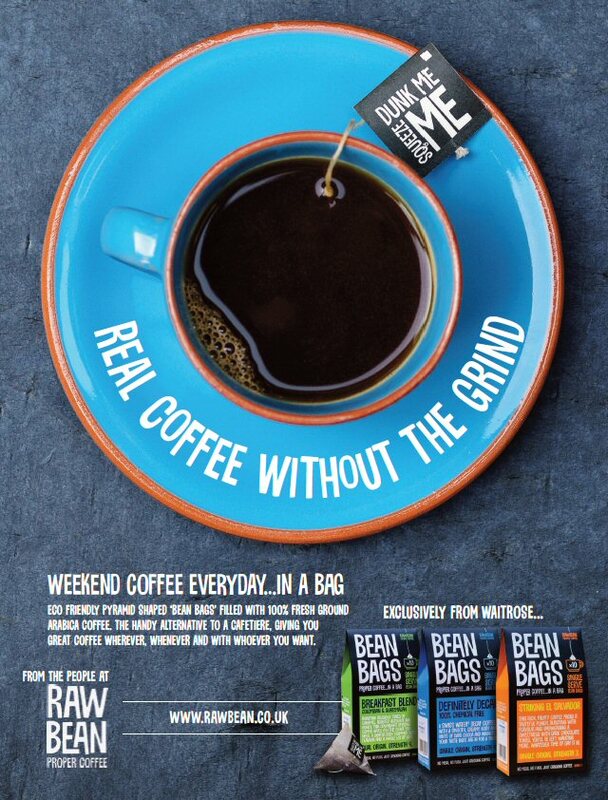 The Brief: Having recently developed and launched a ‘proper’ fresh coffee that’s prepared in a pyramid-shaped bag to achieve maximum real coffee flavour and currently on exclusive sale in branches of Waitrose, an advertising campaign needed to be conceived and delivered in just 24-hours to meet the print deadline on a major new magazine. Solution: From initial ‘first’ contact and discussion with the client, The BlackChilli Creative Hub developed several visual concepts that focused on the core brand values and messages – the strongest of which was then approved by the client that very same day and worked up into a simple yet impactful advert that delivered all the key selling points and clearly described the proposition and featured the retail packaging. New photography was also commissioned, including the sourcing of appropriate props, and everything put together as final artwork and electronically submitted to the publication – all within the 24-hour time frame. Job done – and time for a coffee!